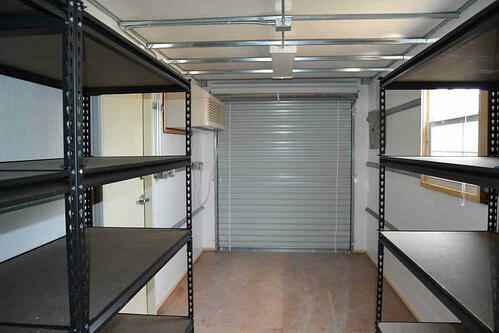 When looking at a storage container, initially one may think that there is not a lot you can change about it. When I first started working at Falcon Structures, I had the same thoughts, it seemed pretty simple, there are 20' storage containers and 40' storage containers. A customer called in wanting to transform a 20' storage container into a ticket booth. He needed a 20' storage container with insulation, AC, Electrical, a personnel door, and one window which they would be able to open to help customers from the outside. A company was needing a place to store a 10' wide vehicle, and wanted the rest of the space to use as an office area. They want to put two 20' storage containers together, creating a wider space for the vehicle to fit, and then finish out the inside of the storage container so that employees can work there during the day. A woman wanted to create an art studio in her back yard using two 20' storage containers, five windows, a personnel door, and electrical/AC. It is amazing how many unique ideas people think of using storage containers. If you have an idea of how to customize a storage container, feel free to ask me at sales@falconstructures.com.